Gold Star Landscaping, LLC is a full service landscape & property maintenance company that is committed to providing high quality workmanship, outstanding customer service and reasonable prices. We offer services to both commercial & residential customers serving Chelmsford, Lowell, Westford, Concord, Carlisle, Sudbury, Tewksbury, Tyngsboro and Bedford – to name a few. 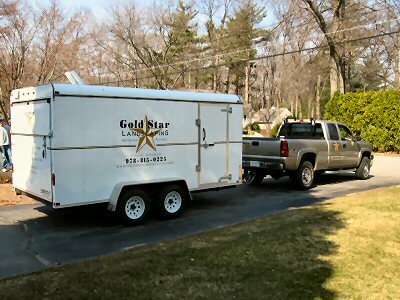 Gold Star has been proudly serving the Middlesex County and surrounding area for over five years. We have established an excellent rapport with our clients as a creative and reputable landscape business. Whether you are looking for spring/fall cleanup, annual flower/shrub plantings, lawn maintenance services or walls, walkways & patios, we work with you to turn your vision into reality. Please take some time to explore our website. We take great pride in our work and we think that you will be able to see for yourself as you browse our site.